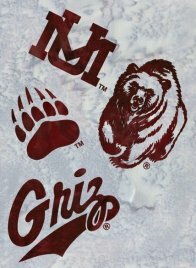 Hoffman Fabrics has new fabric for all you Griz fans! We are taking pre-orders for this beautiful batik fabric. 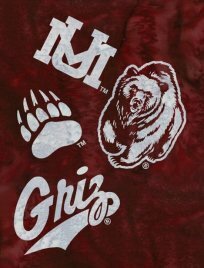 Please call the shop at 406-677-2730 to place your order for either the Burgundy or Silver batik fabric. The price on these will be $12.59/yard. This custom batik will only be printed once per year so this may be the only opportunity to get it! I am sure it will be very popular though! Pre-orders should be placed by September 11 so I know how many bolts to order. Expected delivery is a December/January time frame.